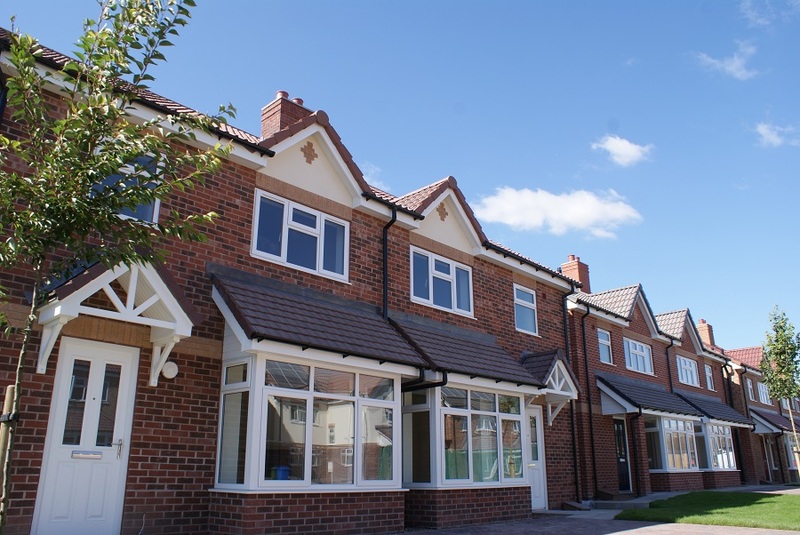 Rethinking Housing Delivery is a 3 year project to deliver 71 new homes in Doncaster in the first major social housing project in the district of Bassetlaw for 35 years. New homes will replace the non-traditional ‘Airey’ houses (a pre-fabricated house built in the 1950/60s) which the A1 Housing tenants are currently living in. The new homes will provide better homes for tenants and reduce lifecycle maintenance costs. These homes have been designed to very high aesthetic standards and comments received indicate that the new homes do not look like council properties. Products and design items that met the required standards such as solar PV but also offered reduced lifetime maintenance costs which will benefit the client for many years. For example brick chimneys were replaced with a GRP (plastic) solution. Regular design clinics were held on site with the design team and subcontractors with the purpose of improving design to deliver a successful project. For example the sprinkler system was improved to a mains feed system as opposed to a tank system which will reduce lifetime maintenance costs. Value is not simply about cost. Since the introduction of the Social Value Act there is a growing understanding amongst Local Authorities and ALMOS that value is strategic and holistic and not just focused on pounds and pence. 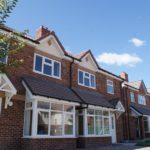 Environmental, social and community value is a core part of this project and the approach taken by A1 Housing and Bassetlaw District Council has been instrumental in delivering a host of added value initiatives and strategies. The contract includes the provision of a 250m length of road linking the phases, upon reviewing the programme, phasing plan and site logistics we worked collaboratively and demonstrated forward thinking practice with the client to explore potential cost savings and efficiencies in the groundworks, in particular the installation of the road at the start of phase 1. To achieve the tight programme, with a 180m sewer diversion, a 250m length of road and 19/25 units in 44 weeks, this could not have been achieved without placing a bias on the installation of the services and their carrying media i.e. the adoptable road and footpath in advance of starting plot construction. By installing the services upfront it allowed the maximum amount of time in contract by which to secure mains services, plot connections and metering. By partnering they have also provided a half day training session with the project team to discuss the requirements of the meters, capabilities of the systems and have offered end user training on the SMART metering post handover. The collaborative nature of the relationship between Woodhead, EON and A1 housing has contributed to a smooth transition on handover. The team identified that if the groundworks and road installation were to be completed earlier an additional 6 houses could be incorporated into phase 1. This innovation will help A1 housing gain rental income earlier than anticipated and provide 6 homes sooner than expected. This meant that the community was moved in one phase with their neighbours allowing the community to stay together rather than decant with a 12 month gap between, eliminating boarded up properties, reducing antisocial behaviour fire risk and enhancing the overall street scape. Ultimately we delivered 6 homes 6 months ahead of programme. We worked with the client and design team closely as these were the first newly designed homes for A1 Housing in over 20 years. The scheme required CfSH Homes Level 4 compliance and Lifetime Homes compliance. We facilitated a CfSH workshop with specialist supply chain partners to develop the design to meet CfSH requirements together. This means that the new homes will be benefit tenants by being spacious, comfortable, affordable to heat, energy efficient and warmer. A three year collaborative relationship has been built with North Notts College, in phase 1 over 300 students have benefited. We have committed to providing 84 weeks of work experience over the project. These homes will use a sprinkler system to protect residents, (part funded by Notts Fire and Rescue), we worked with A1 Housing and Nottinghamshire Fire and Rescue to promote the importance of fire safety, and held a practice fire drill within one of the soon to be demolished properties.